The Afrika Surf Korps is an adventure, a vision, a dream. It’s a dream of having nothing more urgent to do than grab your board, throw it on top of your 1963 VW Baja and head up to the North shore with your dog or best friend. Or maybe, spending August in an old VW Bus driving up and down the Pacific Coast Highway, surfing when it suits you or just watching the waves roll in. 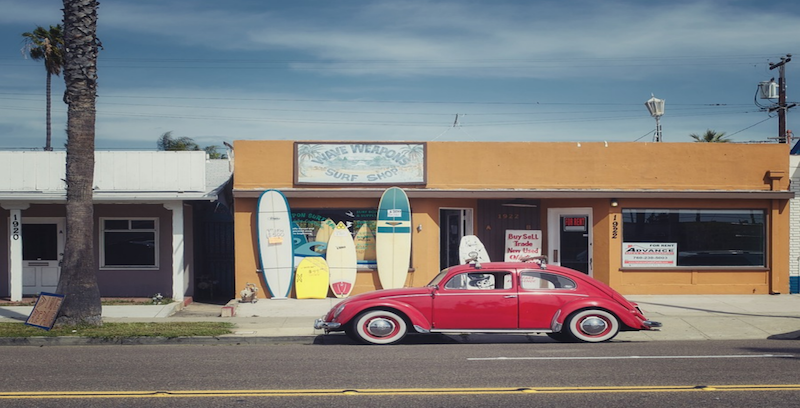 Or perhaps blowing off work a little early, grabbing a board and the 1969 street bug and heading to your favorite spot to catch the sunset and light offshore breezes. It seems like there is nothing quite like the Ocean and a secluded surf session to wash away,,,,just about any care. The Afrika Surf Korps is a tribute to that feeling, of freedom, adventure and tranquility. We offer 3 front designs and 3 back designs to suit your particular dream. Baja Bug, Street Bug or Bus on the front, No Sharks, Vigilant Slogan and a Bible verse we kind of tweaked for your entertainment on the back. All 3 front side graphic designs are available alone or with back graphics as well. Poke around, you’ll figure it out. So grab an ASK shirt, get coastal and live your dream, even if it’s only for a while! Afrika Surf Korps Bus Pullover Hoodie 8 oz.